Myprotein 40% off "Mystery Sale"
[Myprotein] Myprotein 40% off "Mystery Sale"
If you’d like at $60/11lb isolate pm me. Chocolate Smooth is easily my favourite flavour. I liked Salted Caramel at first, but after a couple lbs I am having a hard time getting through it - I am sick of the taste. I've tried a lot of flavours over the years but now I am going to stick with Chocolate Smooth and Vanilla. Hey, just giving everyone my 2 cents ! So basically I have been now using these protein powders mixed with 30 calorie almond milk and blended with a bunch of ice to make smoothies ! I use the chocolate brownie, mixes with extra Splenda, extra salt and 95 percent fat free peanut butter powder to make my own recess peanut butter cup flavour. I use the salted caramel flavour mixed with 1 extra Splenda, lots of ice, 1 cup of 30 cal almond milk, and I add 1/2 cup of either froze raspberries or black berries, and make a smoothie, I found This to taste more like ice cream like this. Just ordered a few small bags of different flavours to try out! 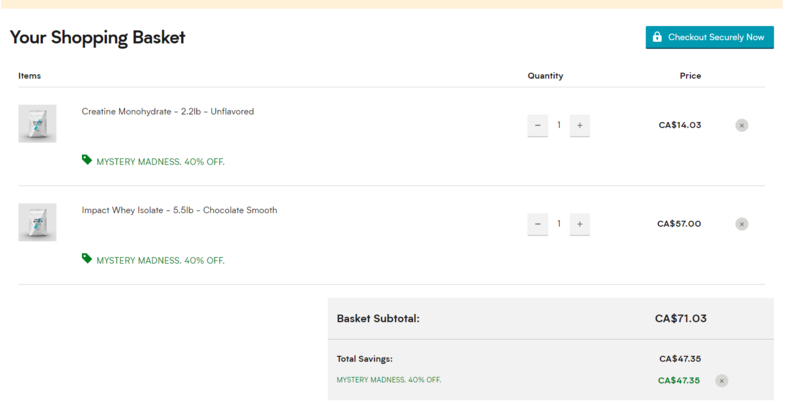 Any thought on s’mores or snickerdoodle? Last order I made with myprotein was hell. Their customer service is non-existent. Never ordering from them again. It should be stated in every whey protein thread. If it's greater than $7/lb of whey protein ISOLATE its not a deal. $57 for 5.5 lbs of isolate. They do have 45% off sales, but that's like one or twice a year, and it could be coming up soon. Though the 5% isn't going to be enough to get back to the prices they had last year. Anyone had the donut flavours (Canadian or glazed)? Looking to split an order with a buddy. Strawberry cream, salted caramel and mocha taste amazing. I'm allergic to whey so am looking at the vegan ones. Expensive even with the 40% discount. The vegan protein powders at Costco are cheaper. Were you hit with surprise customs/import fees on an Amazon.ca purchase? So with MyProtein jacking up their prices over the years - what's the alternative (other than Costco's Kaizen on sale)? Is MyProtein still the best with their sale prices (protein/gr)? Their premium vegan protein blend is on sale, and every batch is also 3rd party tested for heavy metals and quality. 11lbs of Apple Cinnamon for $67.99. The rest of the flavours are $79.99 for 11lbs. That's comparable to what I've been paying for 11lbs of whey isolate at myprotein. Just make a new account every order, and you'll get an additional 10% off for first time orders. I've never tried a vegan protein before, so I ordered the Apple Cinnamon on Friday. We'll see if 11lbs was a good idea or not . 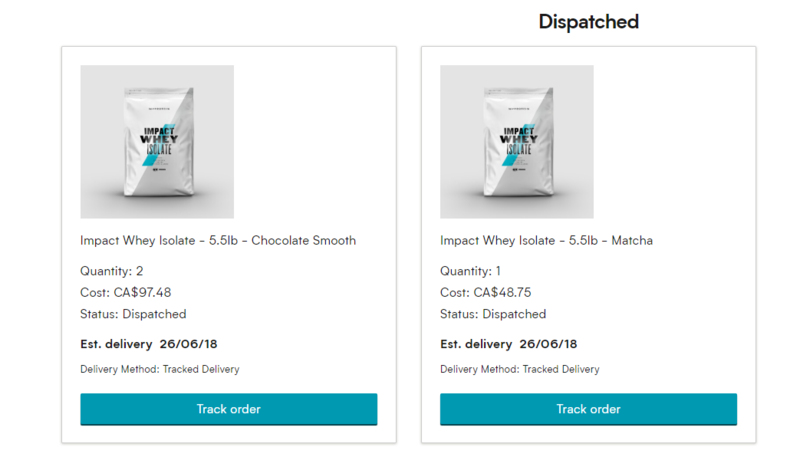 I've been losing my patience with the way myprotein is inflating prices for their "sales". I figured I would try something completely different from somewhere else.